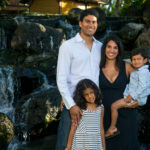 Ben and Nicole were married at the beautiful Fairmont Orchid on the Big Island of Hawaii. 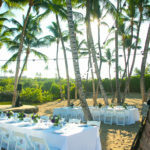 The fairmont has beautiful grounds with four waterfalls on property, beaches, large grassy areas and plenty of beautiful flowers and plants. 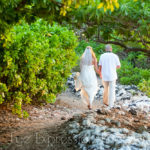 They chose to get married shortly before sunset when light is soft and flattering.